To celebrate the release of Hunt For The Wilderpeople on DVD and Blu Ray, I'm giving you the chance to win! 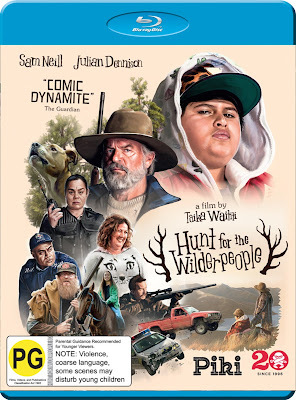 Ricky (Julian Dennison) is a defiant young city kid who finds himself on the run with his grumpy foster uncle (Sam Neill) in the wild New Zealand bush. A national manhunt ensues and the two are forced to put aside their differences and work together to survive in this hilarious and heart-felt adventure. You can win a copy of the year's biggest New Zealand film that's simply a phenomenon.